What’s the next best thing to getting a new motorcycle? Having your friend get one for you to keep in your garage! My good friend in NYC purchased a new motorcycle to zip around on out here. 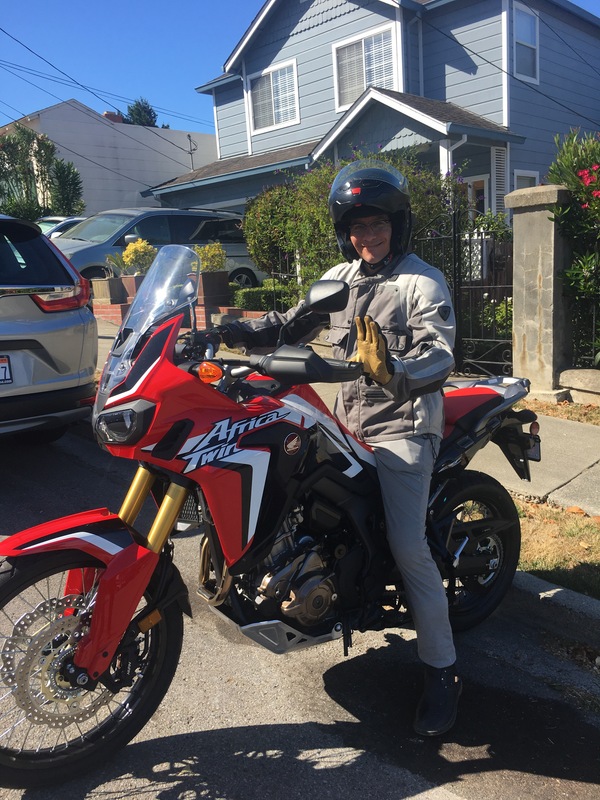 I’d like to introduce you all to the Honda Africa Twin DCT. I haven’t really been able to ride it, but my friend says it’s amazing. This entry was posted in Motocycling, motorcycle, Motorcycles and tagged africa twin, honda motorcycle, moto. Bookmark the permalink. I tell ya, when my F800GS is due for replacement, I’m gonna take a very, VERY close look at the Africa Twin. From all I’ve seen and read about it, I’m mighty impressed. I’ll post up a detailed review once I get to ride it further than a couple of miles. I hope to take to work a few days in the coming weeks.